^ Crowley (1962), p. 313-14. ^ Crowley (1962), p. 319. ^ Crowley (1962), p. 322. ^ Crowley (1962), p. 323. ^ 香椎浩平手記。『秘録二・二六事件』 永田書房, 1980年, p15. ^ 松本清張 (1978). 昭和史発掘（11）. 文藝春秋. Bix, Herbert P. (2000). Hirohito and the Making of Modern Japan. Perennial. Brown, Delmer M. (1955). Nationalism in Japan. University of California Press. Chaen Yoshio (2001). Zusetsu Ni Niroku Jiken. Nihon Tosho Center. Crowley, James B. (1962). 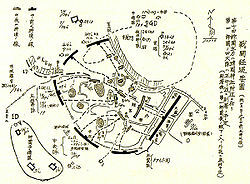 "Japanese Army Factionalism in the Early 1930's" The Journal of Asian Studies (21:3). Hane, Mikiso (1983). Emperor Hirohito and His Chief Aide-de-Camp: the Honjo Diary, 1933–36. University of Tokyo Press. Jansen, Marius (2002). The Making of Modern Japan. Harvard University Press. Kita Hiroaki (2003). Ni Niroku Jiken Zenkenshō. Asahi Shimbun. Shillony, Ben-Ami (1973). Revolt in Japan: The Young Officers and the February 26, 1936 Incident. Princeton University Press. Storry, Richard (1957). The Double Patriots: A Study of Japanese Nationalism. Greenwood Press. Yoshii Hiroshi (ed.) (1989). Mokugekisha ga Kataru Showa-shi (Vol. 4): 2/26 Jiken. 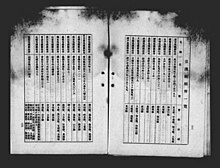 Shin-Jinbutsuoraisha.